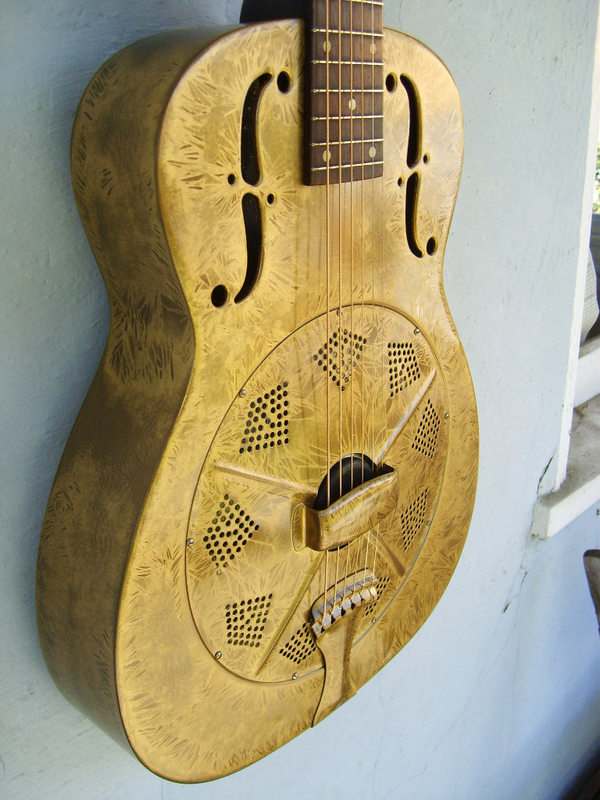 Here is an early 14-fret Duolian I worked on with Marc. 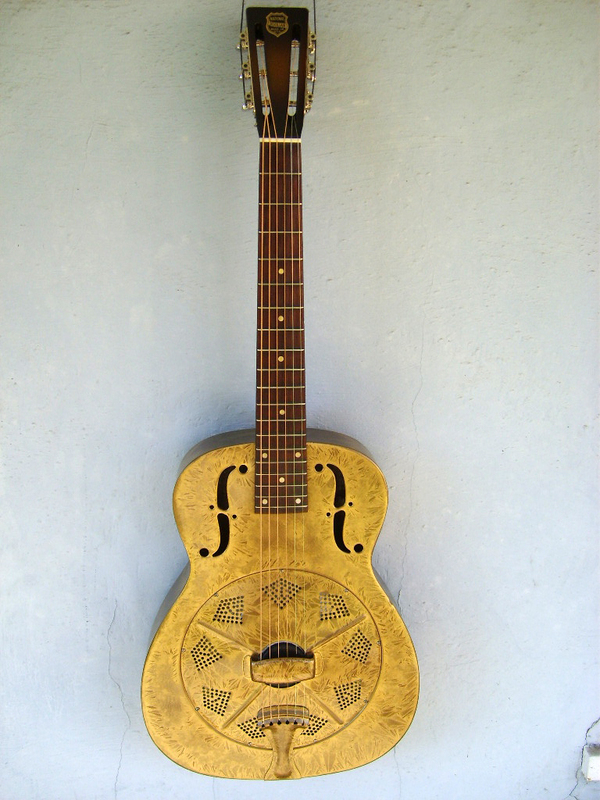 It has a slotted headstock and a ribbed coverplate, which pretty much indicates that it was manufactured in the first year, or so, of 14-fret production. 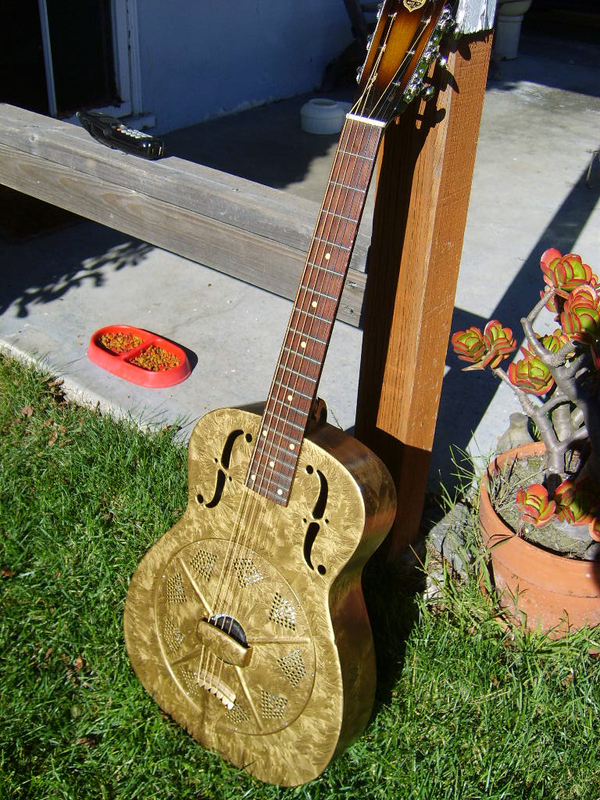 This one got a new gold “frosted duco” finish on the body and coverplate. 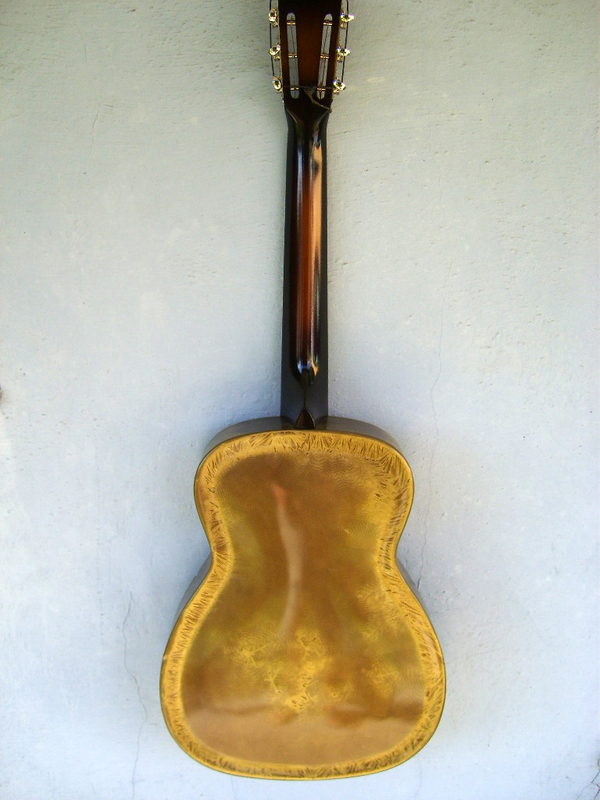 I also put gold “frosted duco” on the tailpiece. 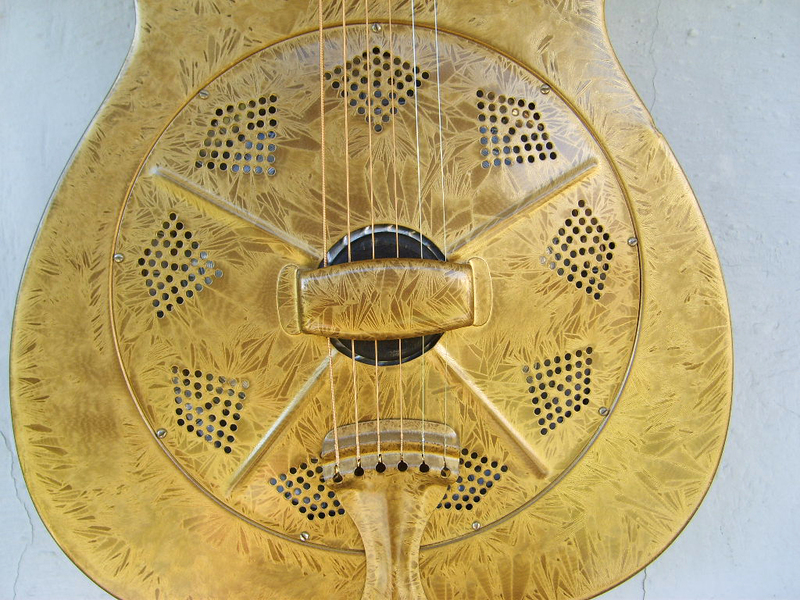 Some of the original gold Duolians had plain gold tailpieces. Most were nickel-plated. The crystal finish does look nice on the tailpiece, though. 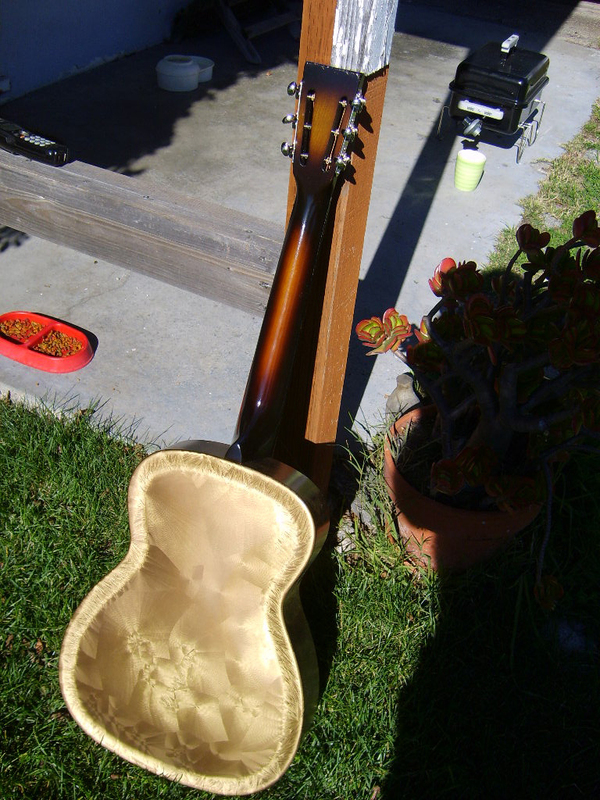 I also refinished the neck on this one with a vintage style burst. Which is correct for this era. The crystals on the back of this guitar got quite large. That doesn’t happen very often. At least, not like this. I wish I knew why. When you look at the two different angles the guitar was photographed, you can see how the crystal forms change depending on the angle of the light. Plus, you got to love the cat food dish in the shot, too.